A blend of rums of at least 5 years of age, matured in smaller barrels before marriage in cask. 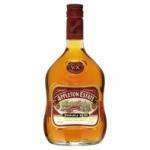 Appleton Estate V/X offers a wonderfully rich nose, lots of buttery sweetness. Nose: Peppery and spicy, a green, grassy note with a buttery toffee and a hint of pear drops. Palate: Medium body, quite spicy with black pepper and chilli, a little butter and vanilla. Finish: Slightly astringent, medium length. This is truly a lovely rum and usually £22-£30 a bottle. Its not ticketed in asda or shown as an offer online. If you like rum get yourself a bottle, trust me you will love it. Online and instore.